Ten months ago, our embryo recipients, L and J, got bad news: the third and final embryo they’d transferred had not resulted in a pregnancy. I was heartbroken for them. And I felt really, really guilty. Even after they forked over $20,000 in pursuit of a baby, they were empty-handed. My embryos hadn’t given L&J the baby they deserved so much. 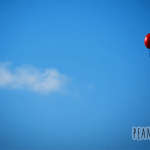 They poured so many resources into the process, emotionally, financially, and physically… My embryos failed them, and accordingly, I had failed them. It was difficult staying in touch with L after that. We had promised each other we’d be just as close, but it wasn’t that simple. The guilt I felt was interminable. I knew feeling guilty was irrational. Logic didn’t change how I felt. Then, in October, amazing news from L&J: she was pregnant. It wasn’t one of those “she stopped trying and got pregnant” things. L is a very resourceful girl; she never stopped working for her future baby. After her losses with our embryos, she contacted her insurance company. Since she had a confirmed pregnancy (with the first of our embryos, which later miscarried due to Trisomy 18), they were eligible for more IUIs (intrauterine inseminations—aka the “turkey baster”). They tried six IUIs before going the embryo adoption route, and all were BFNs (Big Fat Negatives). But J’s counts had improved greatly, thanks to a year-plus of acupuncture and supplements. They were ready to give it another shot. It worked. They were pregnant with their own biological child. L was ecstatic. 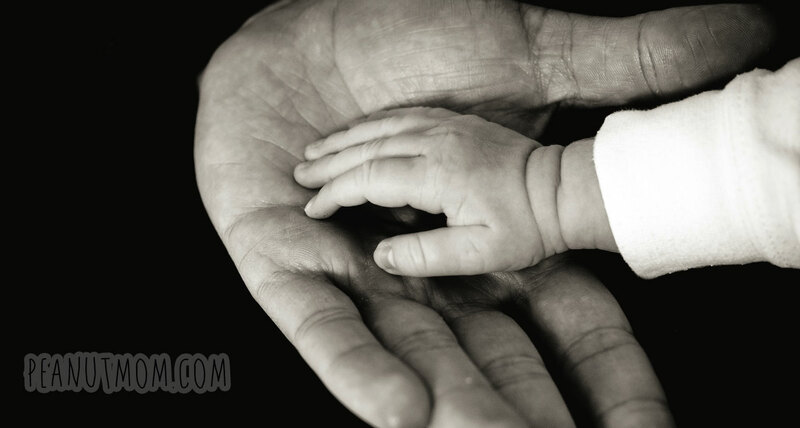 Then the universe delivered a doozy: L miscarried her baby at six weeks’ gestation. In a cruel twist of fate, the day she miscarried was also the one-year anniversary of her previous miscarriage, with the first of our embryos. I wasn’t sure L would recover emotionally from this ordeal. I thought she might throw in the towel completely. Two chemical pregnancies. Two miscarriages, both after seeing a heartbeat on ultrasound. Only to have it all snatched away. It was a dark time. I tried to be comforting, but mostly gave L space to grieve. Autumn was coming to an end, ushering in the bitter cold of winter. The sun barely made its appearance each day before disappearing again. The dark and cold hung heavy. Then, L got a phone call. It was my clinic, calling to let L&J know that their names had come to the top of the list for anonymously donated embryos. Were they still interested? It turns out that after their third failed transfer, the nurse at my clinic had asked L&J if they wanted to be on the list for anonymous embryos. “How long is the list?” they asked her. “A couple of years,” she answered. They shrugged and asked her to add their names. At that point, they couldn’t foresee a reality where they would use more donor embryos. Three strikes, time to try something else, hopefully something that would actually work. L had completely forgotten about the list when they got the call. Because they had already gone through the steps of receiving donated embryos, the clinic was waiving many of the requirements (and the associated costs). This time around, everything would be surprisingly affordable. L&J scheduled a trip to Iowa to review donor profiles and choose a set of embryos. They set aside some time to visit with me while they were in town, and even showed me profiles of their three finalists. They faced a difficult decision, because no one’s genetic history is perfect. Should they choose the batch of three good-quality embryos with a family history of Alzheimer’s? Or the batch of six high-quality embryos with three of four grandparents having died of cancer? Of course, people with a family history of cancer and Alzheimer’s have babies all the time. Nobody’s genes are perfect; we all do the best we can. 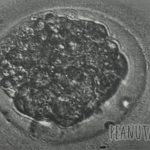 L&J chose their embryos, and a few weeks later were back for the first transfer. We got together that night at their hotel—I’d offered up my guest room, but they opted for a hotel so they could enjoy a little treat—and my kiddos splashed in the pool while we talked. 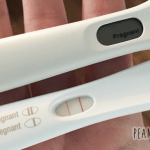 Nine days later we got the best news possible: a positive pregnancy test. Given L’s history with miscarriage, however, it was cautious optimism. The days crept by, eventually turning into weeks. Five weeks gestation, then six. The first ultrasound showed the baby looking great, with on-track growth and a strong heartbeat. Second ultrasound: Baby was perfect. Nine weeks turned into ten, then eleven. I asked L if she felt like she could breathe and embrace hope. She could. L&J are choosing baby names, and I am bursting with happiness. But it wasn’t. It was all part of the plan. Our donated embryos were part of the universe’s plan to get L&J to this baby. L&J are going to be parents in November. Our embryos had a tiny little something to do with that amazing bit of happiness. That gives our embryo donation story a decidedly happy ending. 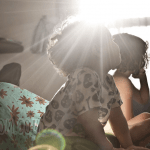 October 21, 2015 What to expect when someone else is pregnant with your genetic child Two at-home tests and a blood test confirmed the big news: L was definitely pregnant. Processing this wonderful news was the hardest part yet of donating, and my reaction to it took me by surprise. 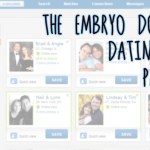 February 16, 2015 The Embryo Donation Dating Game, Part 1 After we decided to give our leftover embryos to a couple in need, we thought the hardest part was behind us. Not so much.